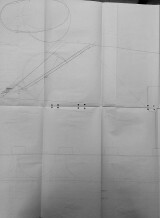 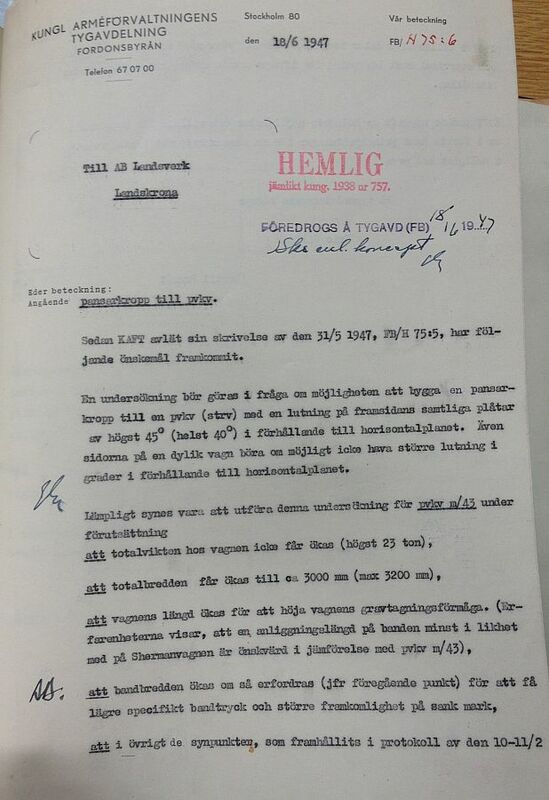 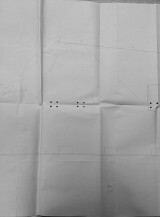 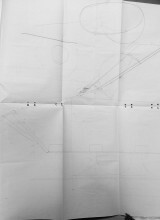 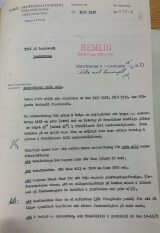 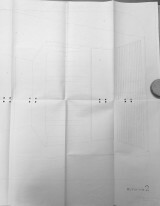 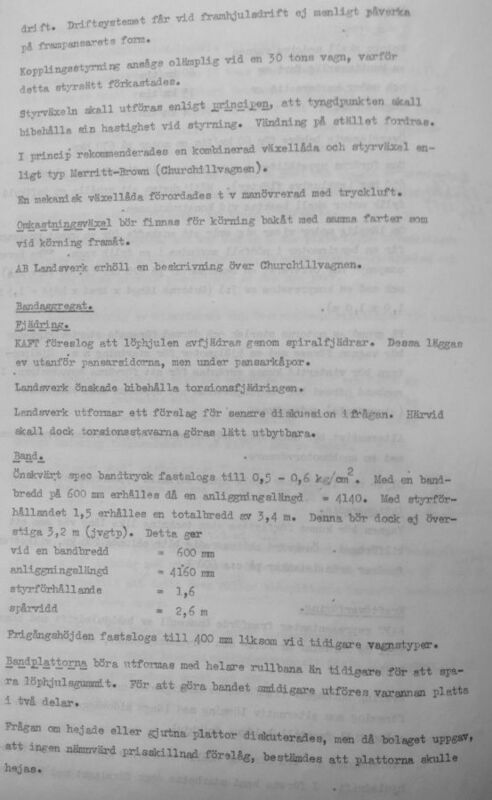 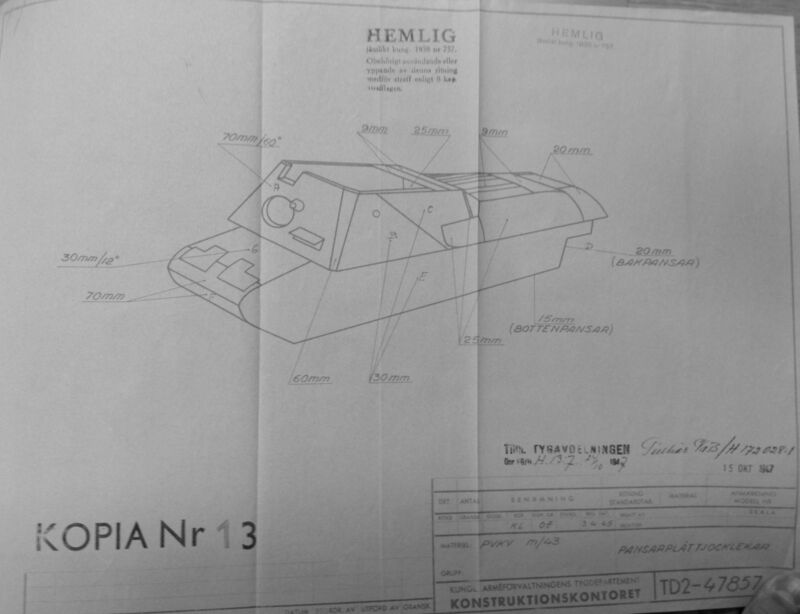 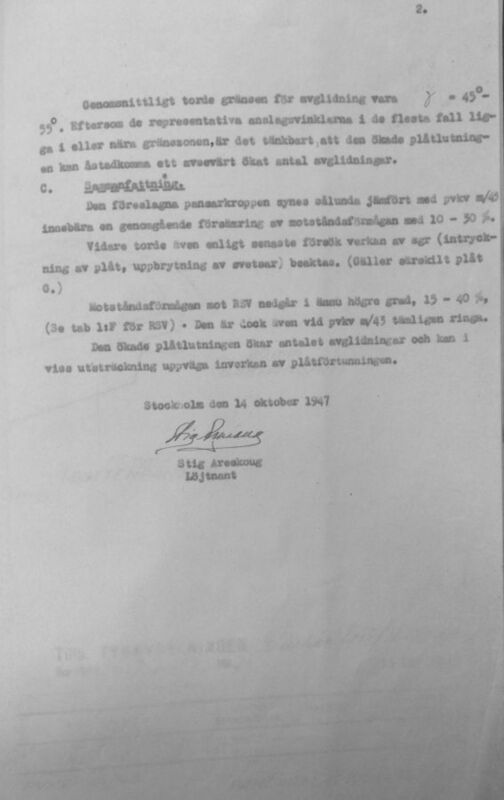 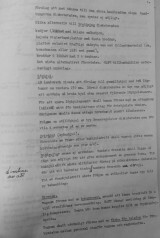 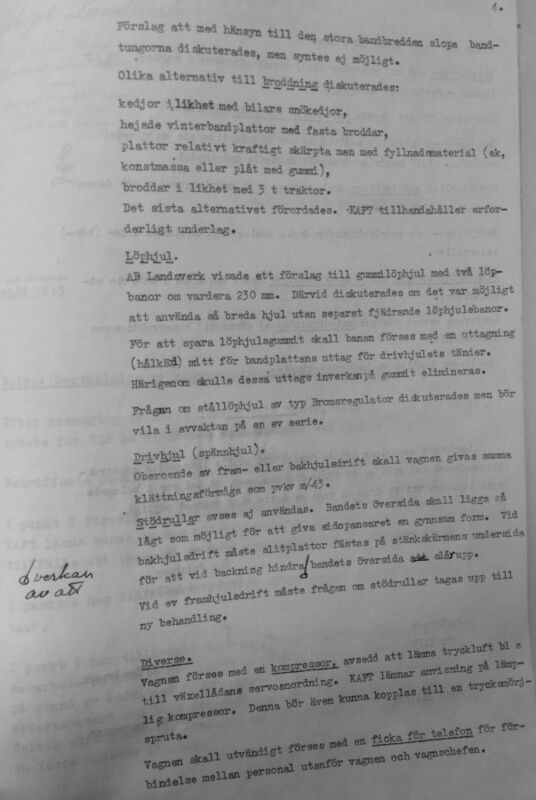 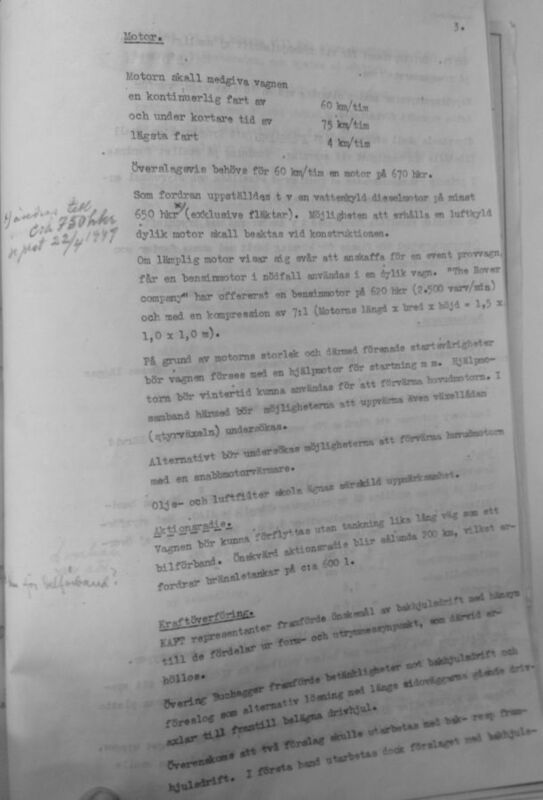 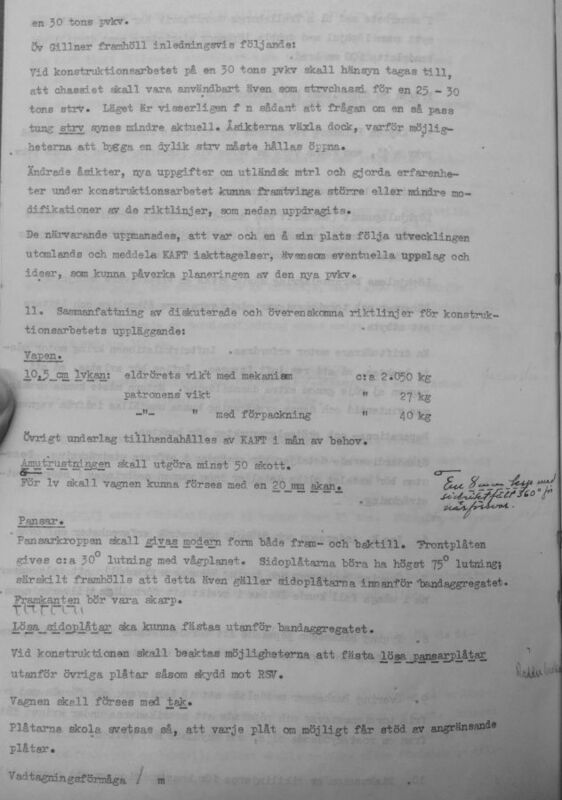 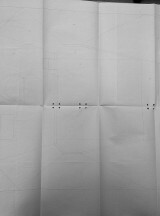 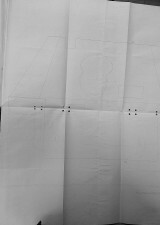 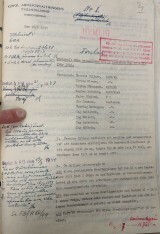 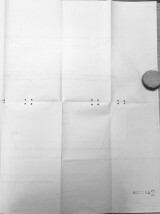 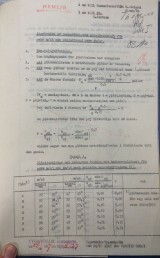 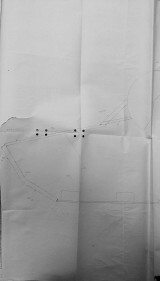 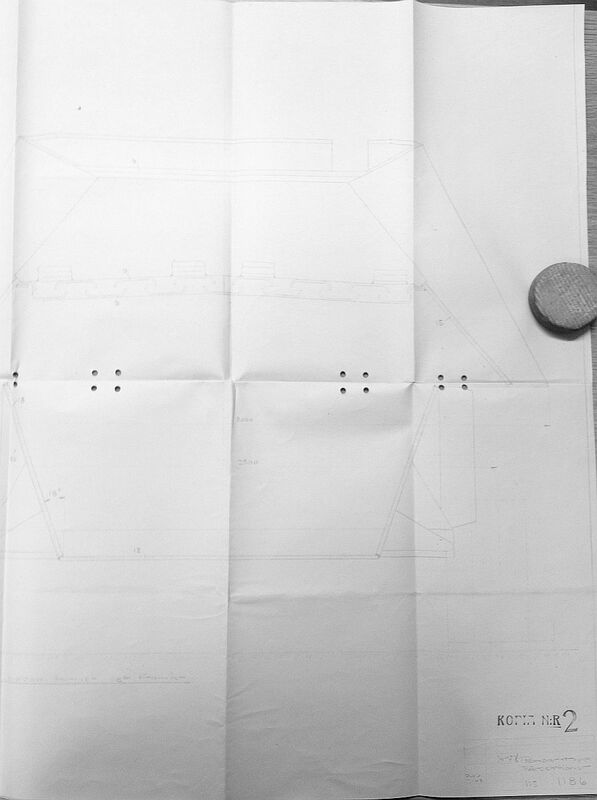 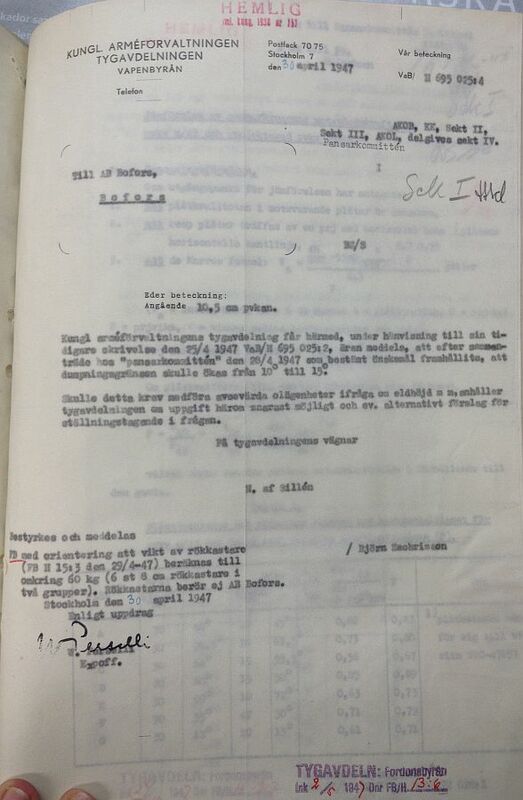 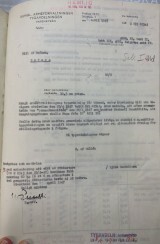 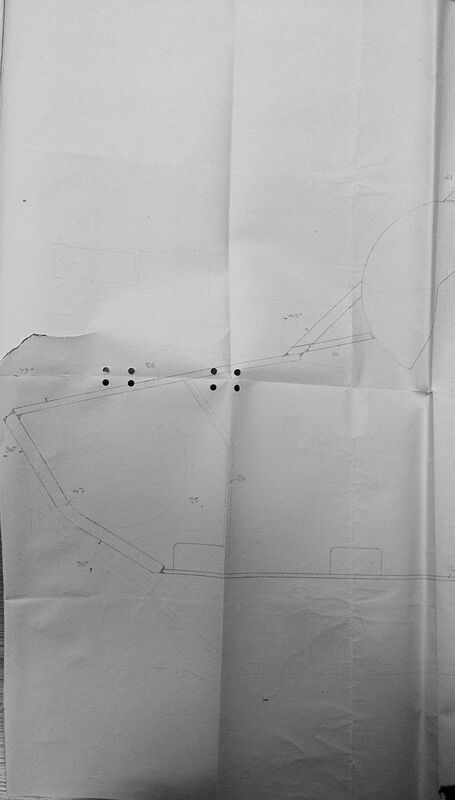 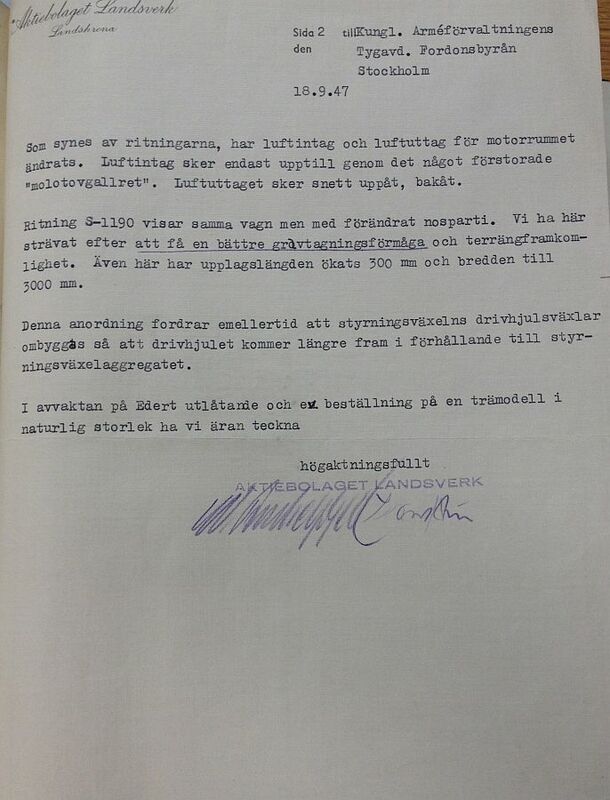 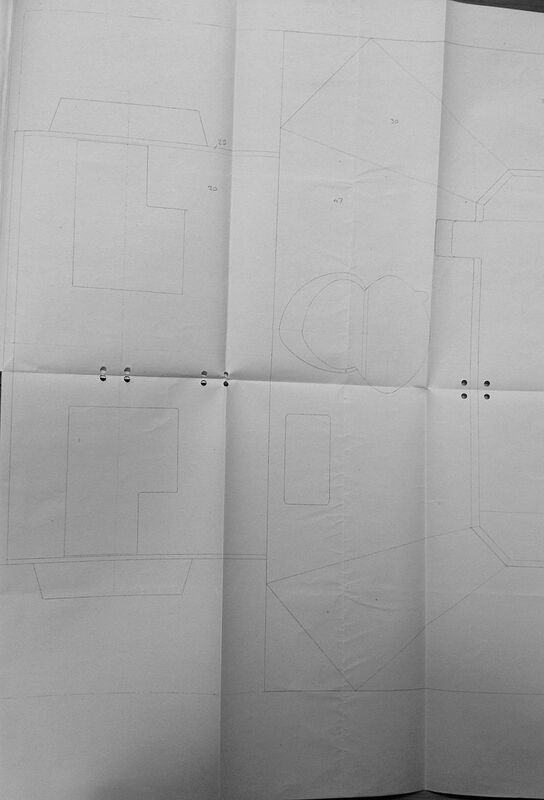 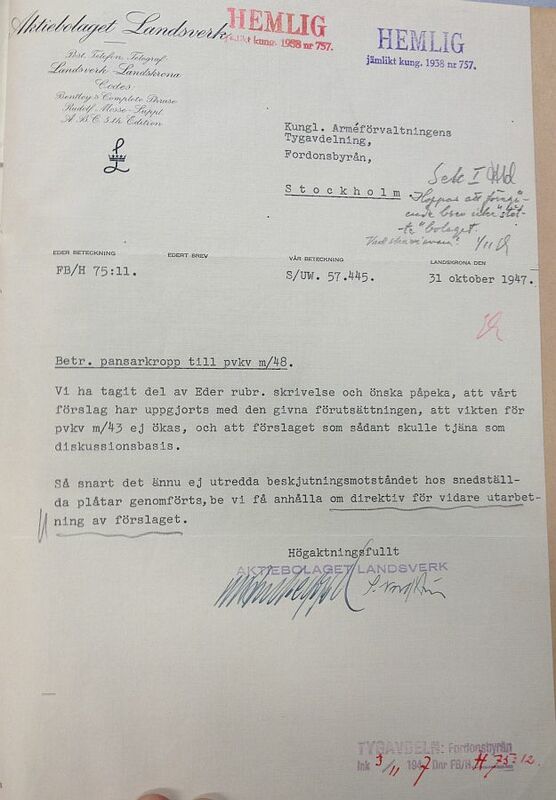 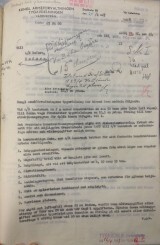 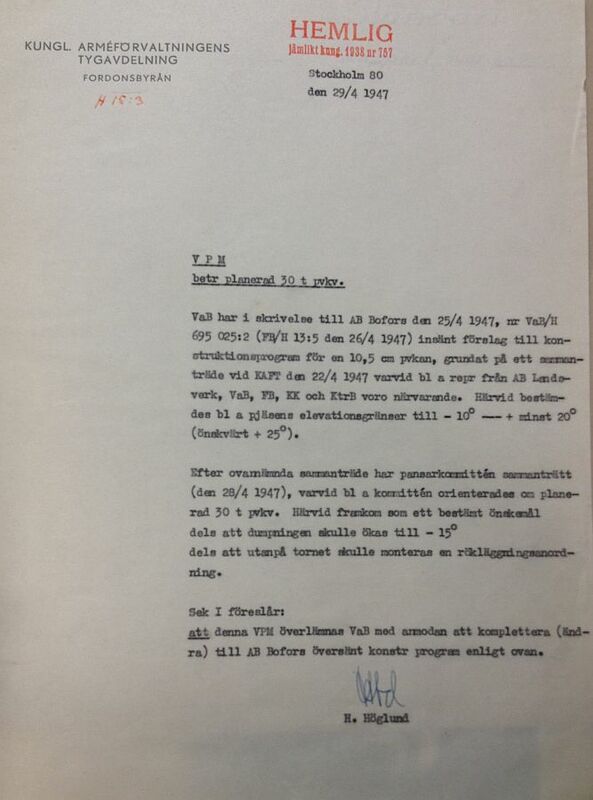 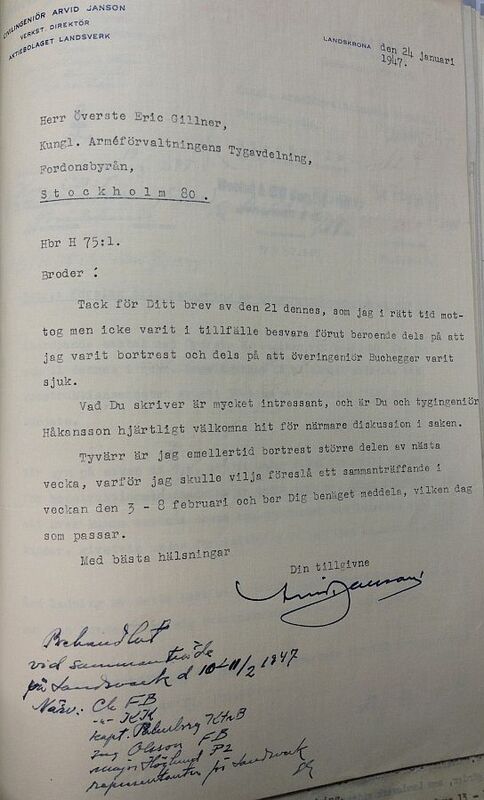 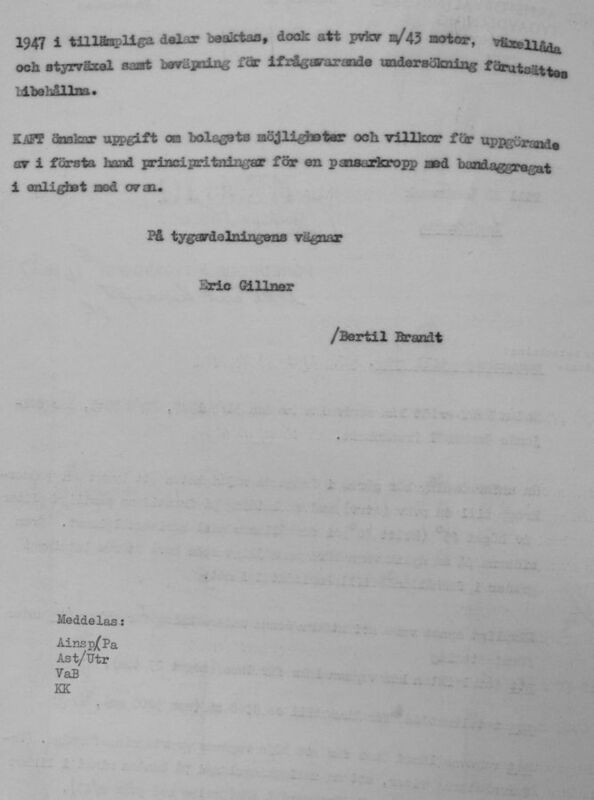 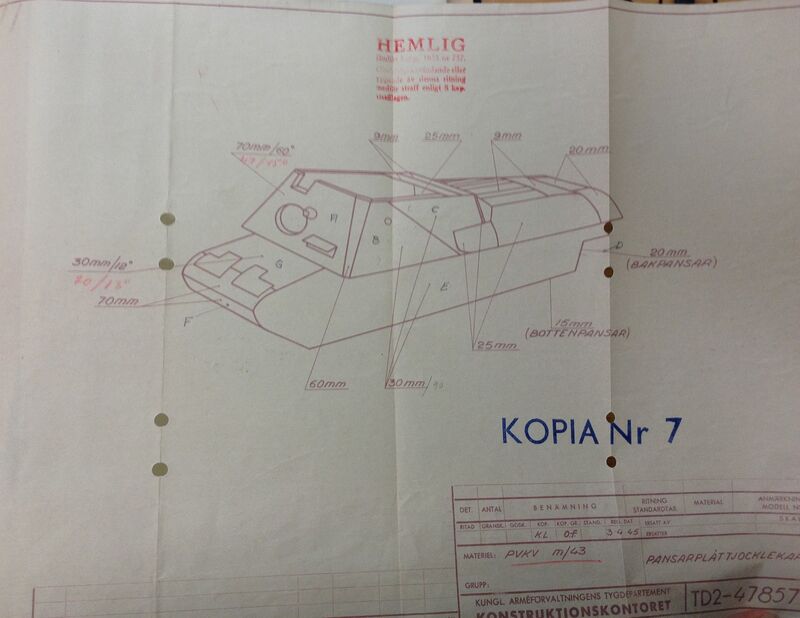 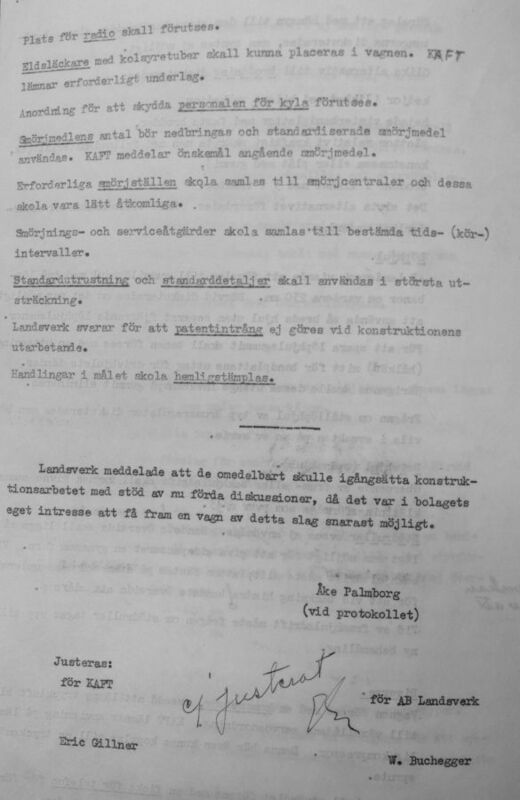 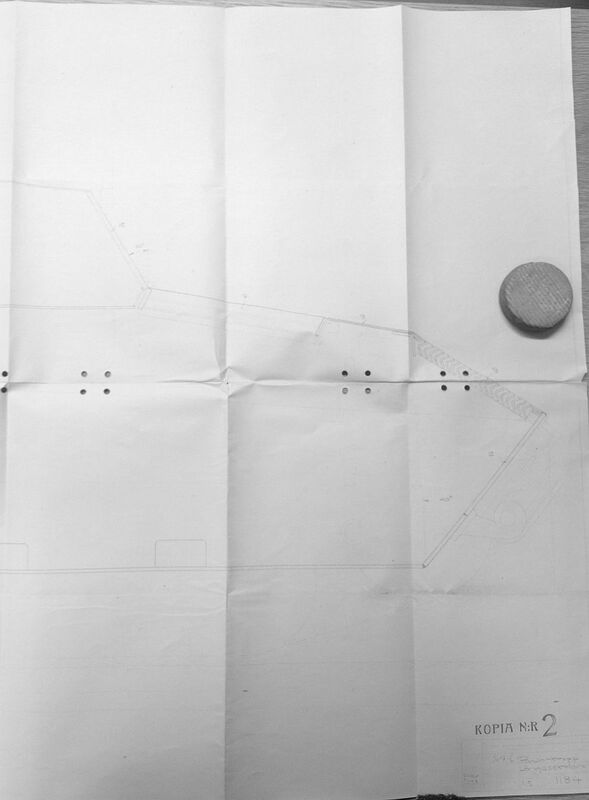 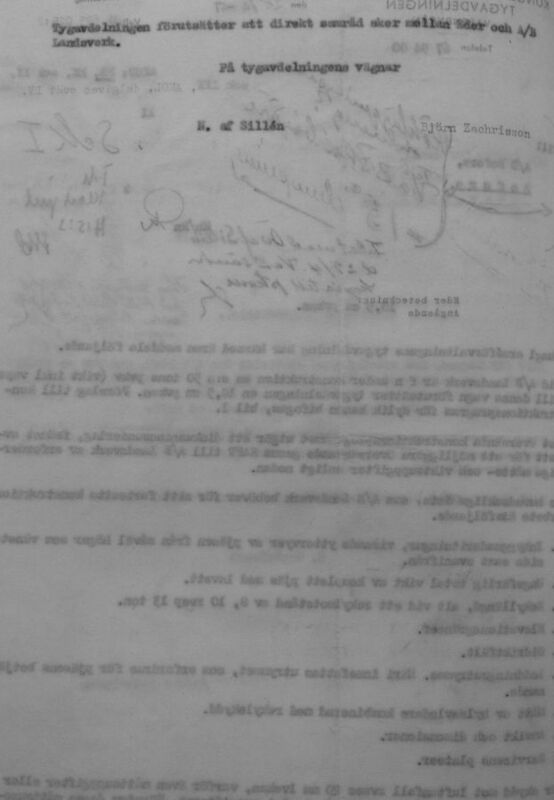 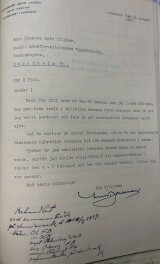 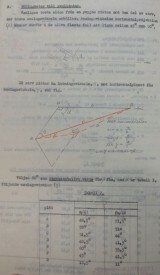 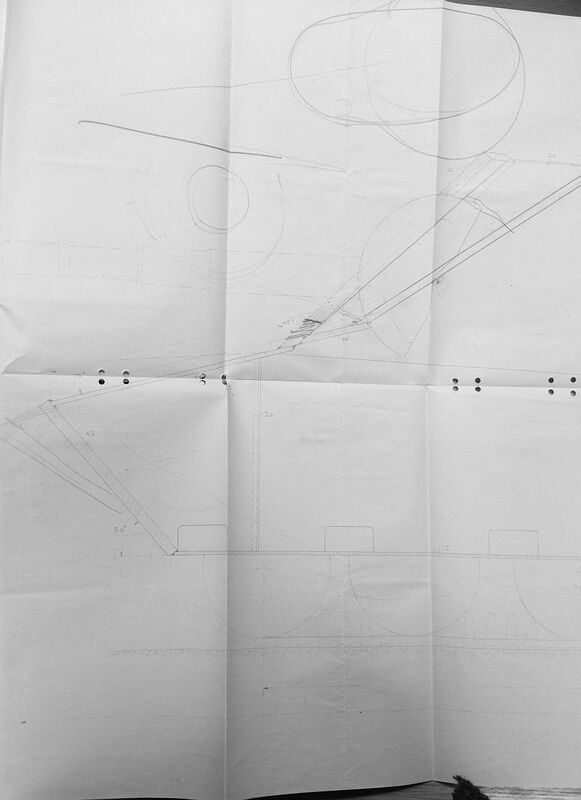 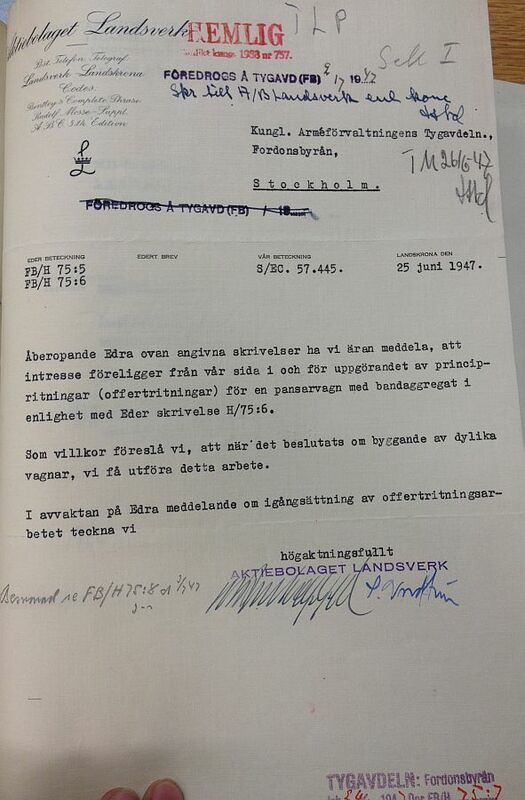 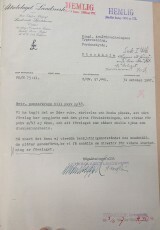 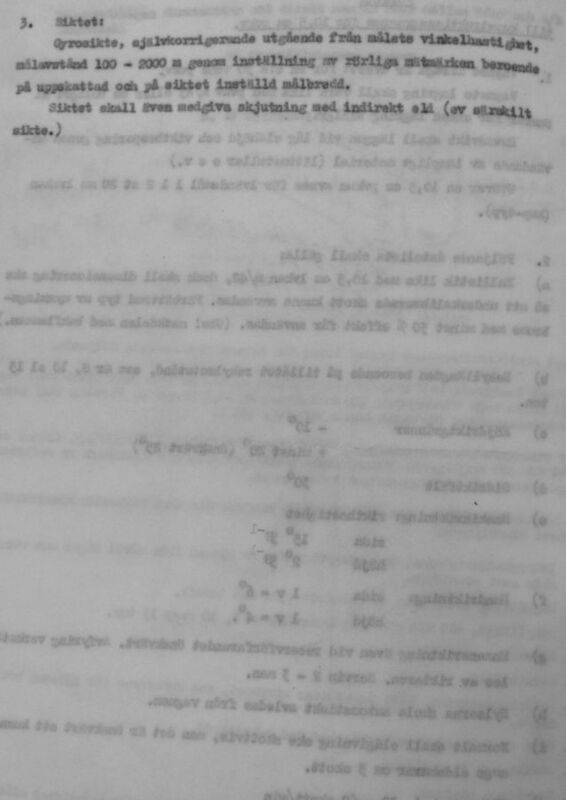 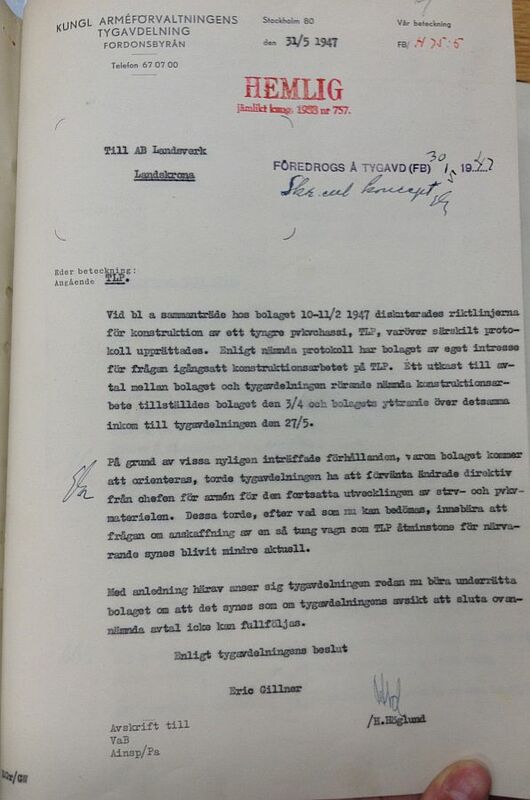 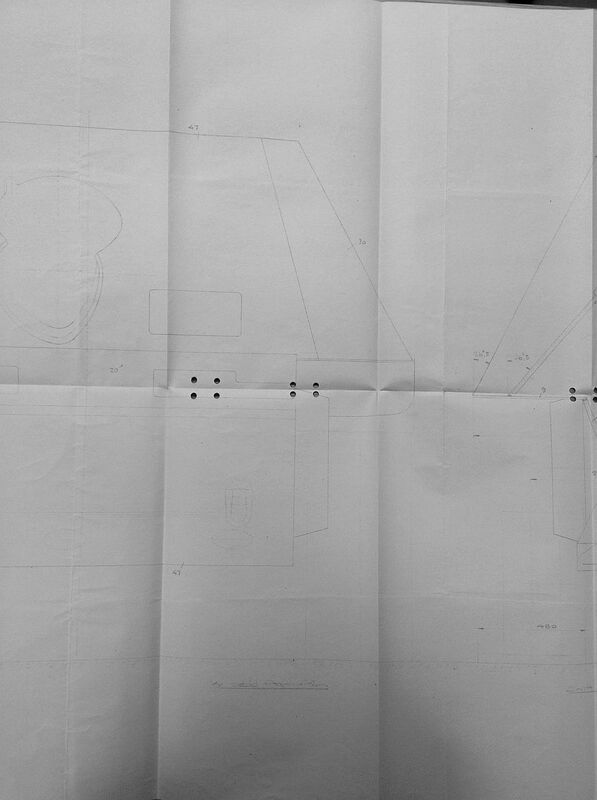 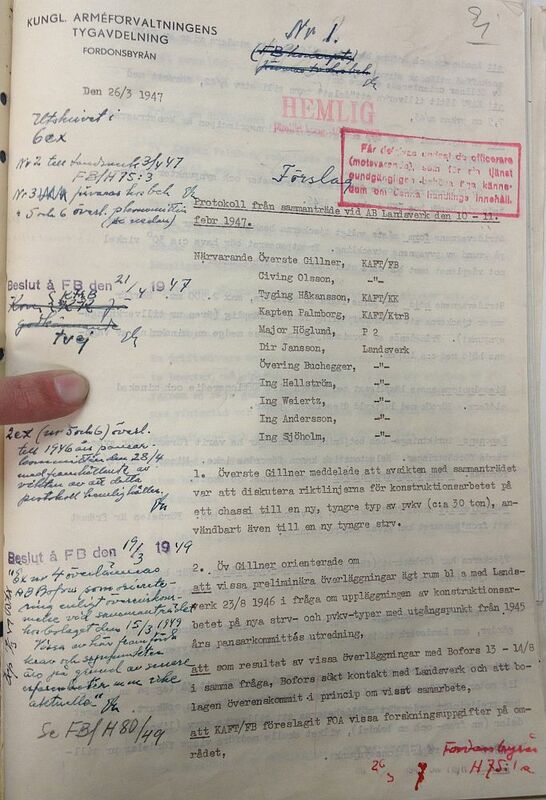 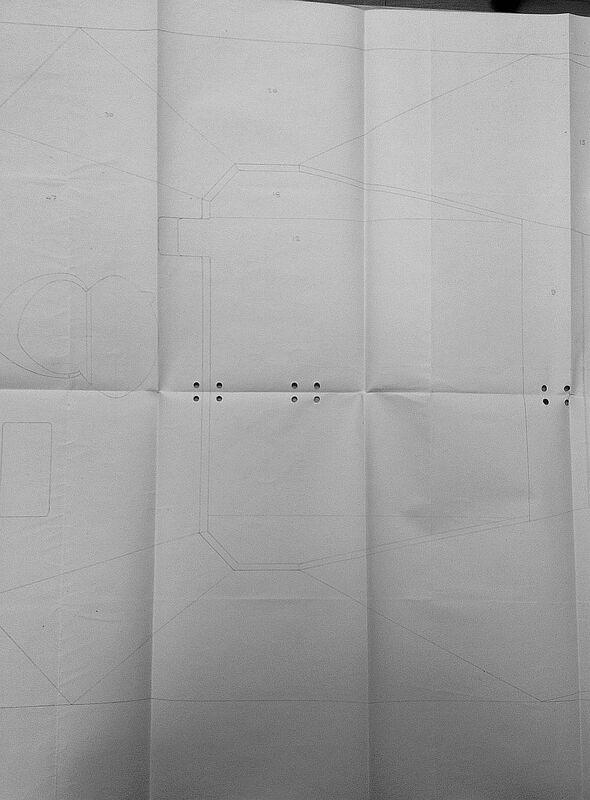 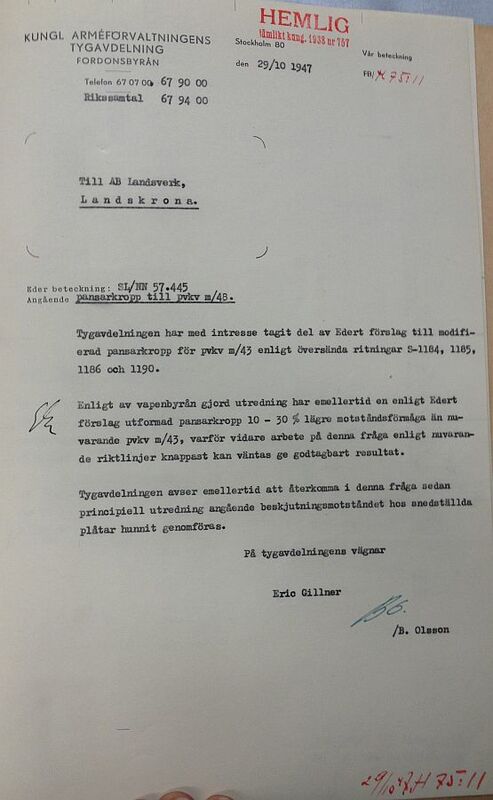 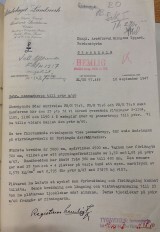 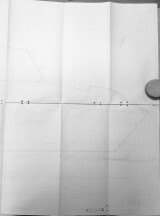 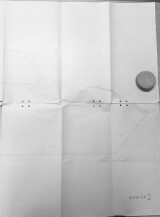 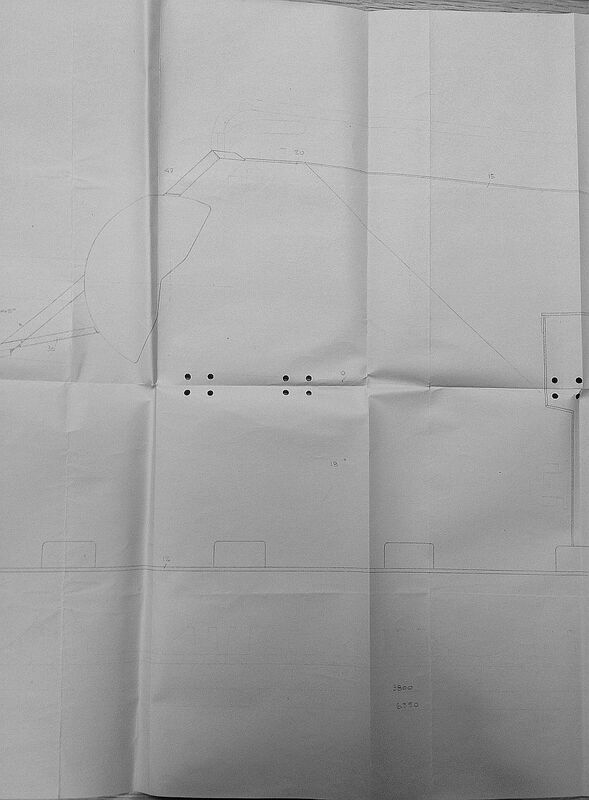 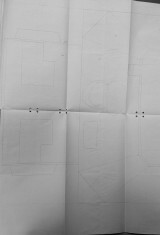 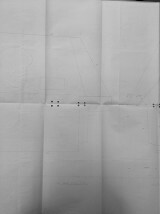 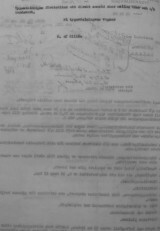 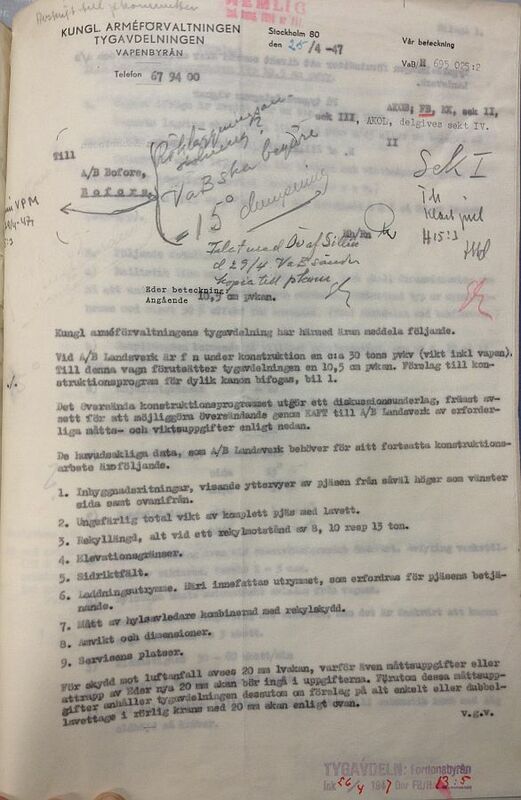 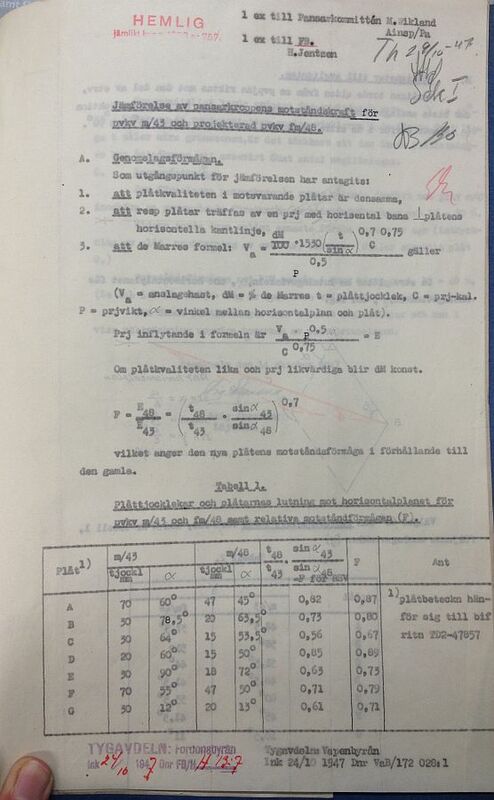 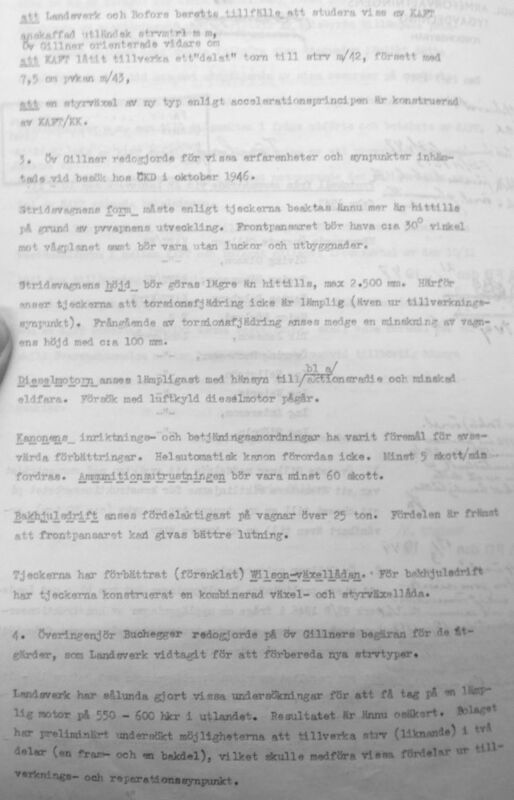 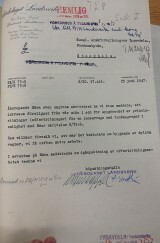 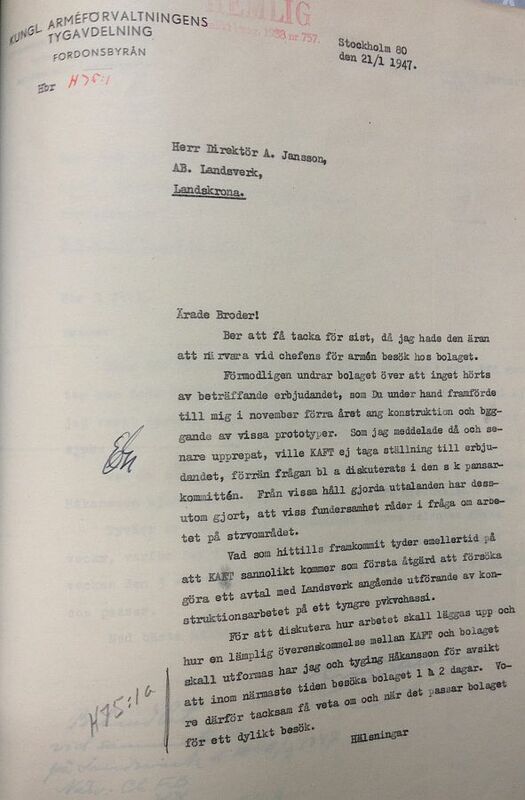 This small collection of documents (letters, memos, minutes of meeting and blueprints) tells the short and sad story of the Landsverk TLP, which was to be a 30-ton tank destroyer armed with a 105 mm gun. 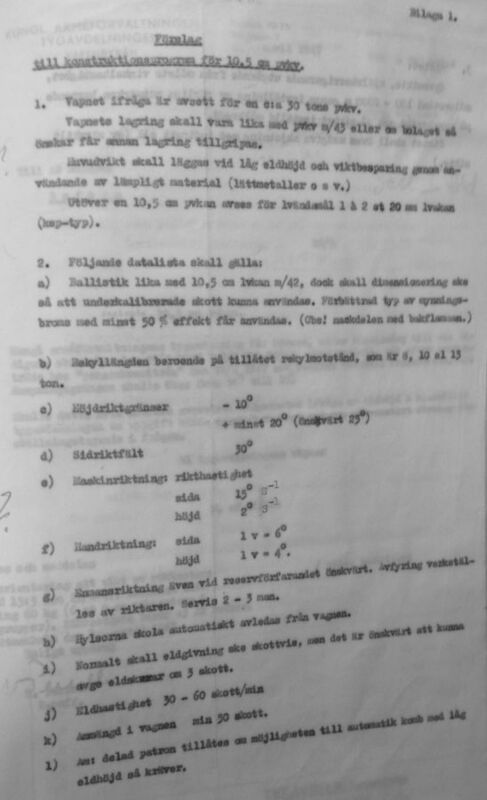 It lived a very brief life on paper at Landsverk and Bofors for a few short months in 1947, until the army changed its mind and decided it didn’t want AFV’s in that weight class after all. 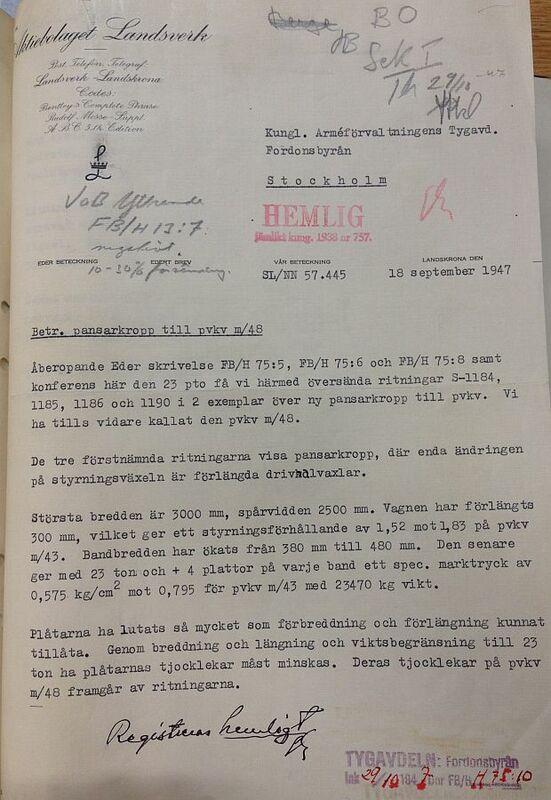 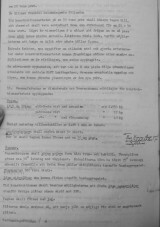 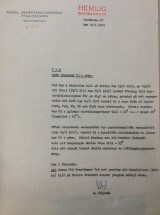 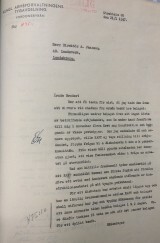 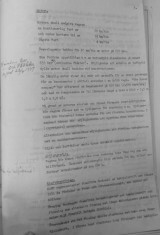 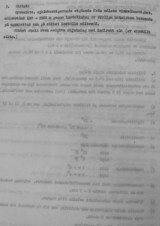 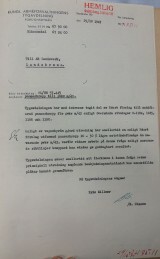 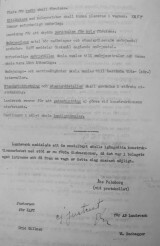 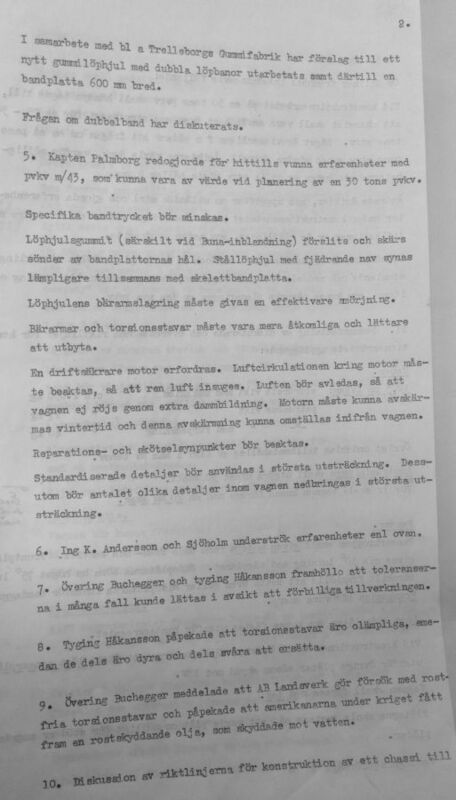 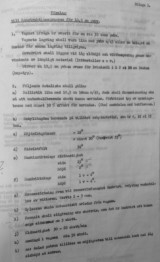 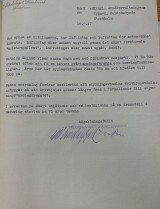 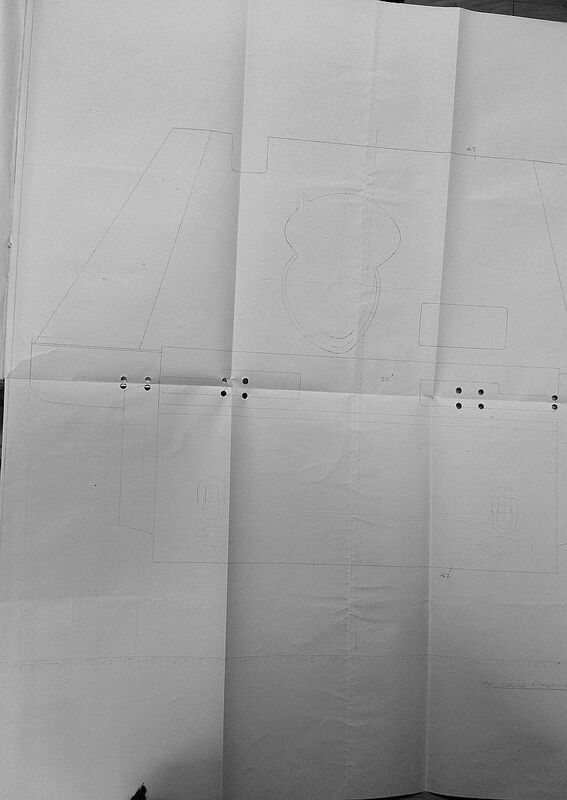 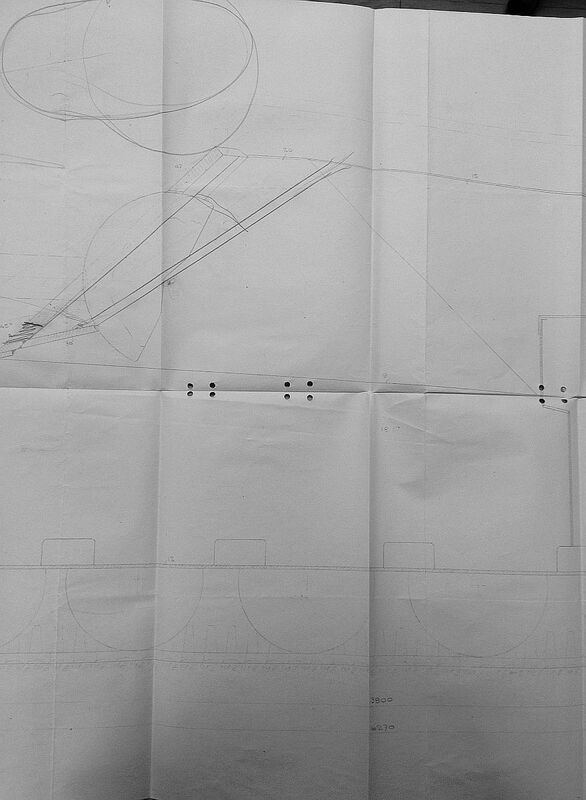 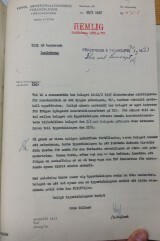 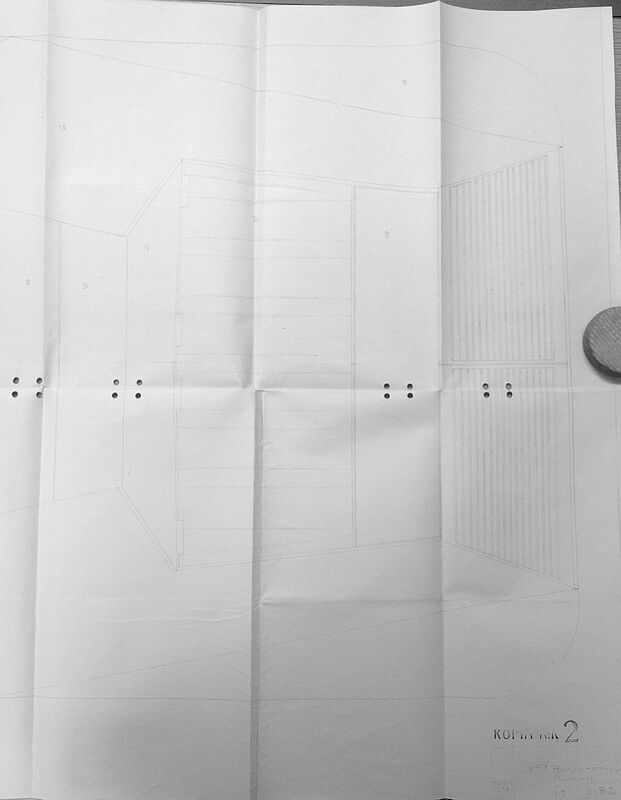 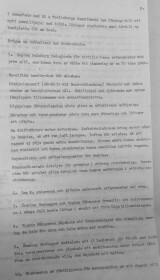 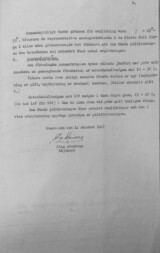 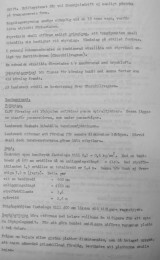 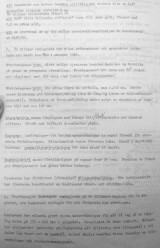 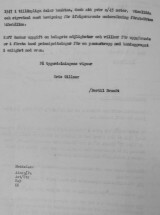 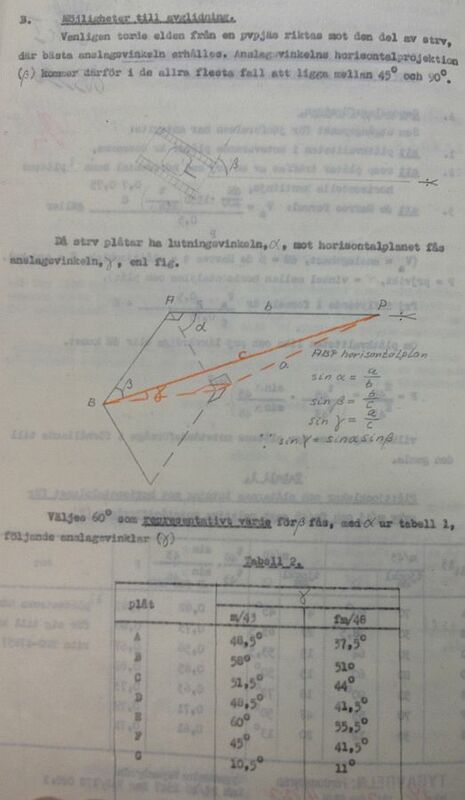 Before cancelling the project entirely, the possibility of improving the protection of the existing pvkv m/43 by angling its armor plates better and potentially upgunning it to 105 mm was investigated (that part of the project was called “pvkv fm/48” by Landsverk), but the conclusion was that the protection would not be improved and the entire thing came to nothing.